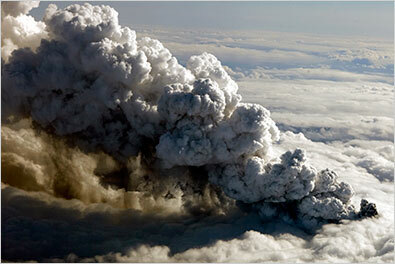 Do you remember back in April 2010 when the volcano erupted in Iceland and no planes could fly in Europe for several days? This happened during an artist's residency in Santa Monica when I happened to be writing tunes for the album Ashes. A good friend of mine was supposed to be flying from Kathmandu to Frankfurt and ended up being stuck in Nepal for an extra week because of it. Being a musician, I thought we should dance about it. Voilà! Volcano Waltz.